Our range of products include paper roll laminating machine, electric roll laminating machine, roll laminating machine and heavy duty roll laminating machine. We are offering our clients an excellent array of Paper Roll Laminating Machine that are used for laminating charts, papers, mark sheets, etc. 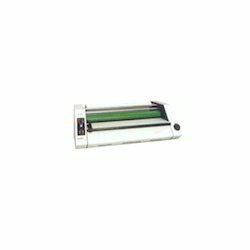 Ideal for laminating Certificates, Mark sheets, Office Documents etc. 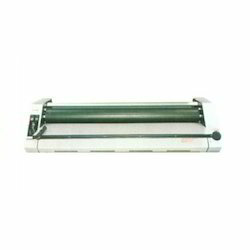 Electric Roll Laminating Machine offered comes in Weight of 50 Kgs and can deliver maximum laminating width of 450 mm. We offer these roll laminating machine in compact dimensions of 740 mm x 470 mm x 325mm with power supply support of 220 V. AC, 50 Hz, 2 kW. Running on electric energy, these are backed by latest technology support and are ideally suited for applications involving certificates, color copies, laminating charts, posters and others. Ideal for laminating charts, posters, certificates, color copies etc. Roll Laminating Machine offered features use of latest technology support which make these deliver optimum functional support in given end lamination applications. Coming with maximum laminating width of 685 mm, machine weight of 65 kgs and in dimensions of 940 mm x 470 mm x 325 mm, these run on 220 V AC, 50 Hz, 2 kW power supply and are ideally suited for meeting the lamination needs of Maps, Charts, Blue prints, Technical Data and others. Ideal for Laminating Blue prints, Maps, Charts, Technical Data etc. Heavy Duty Roll Laminating Machine offered are backed by latest technology support and engineering standards and can deliver maximum laminating width of 1000 mm. Made available in weight of 90Kgs, these are available in finish dimensions of 1290 mm x 470 mm x 325 mm with power supply support of 220 V AC, 50 Hz, 3 kW. 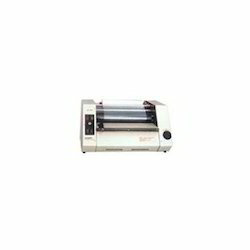 These roll laminating machine are ideally suited for Engineering Plans, Laminating Maps, Technical Data, Blue Prints and other usages. Ideal for laminating Maps, Engineering Plans, Technical Data, Blue Prints etc. 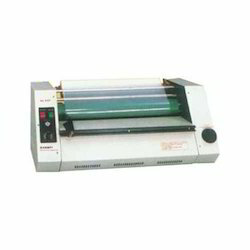 Looking for Roll Laminating Machine ?